As anyone in media will be quick to tell you, this has been one long, grueling election. We’ve seen pope feuds, rigged podiums, and Ted Cruz’s innards. But for all its scandal and intrigue, this election has been largely devoid of one thing in particular: Motherfucking answers. 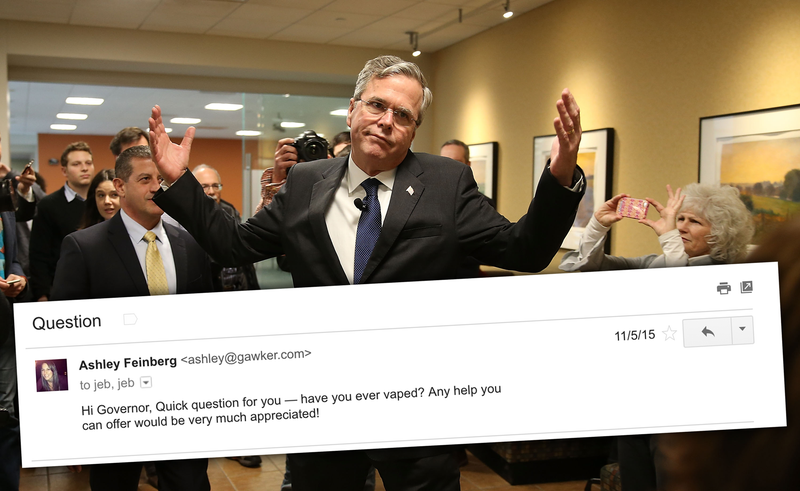 In my time covering the various (largely Republican) campaigns for Gawker and, later, Deadspin, I’ve often sought comment from campaign spokespersons or Jeb. Sometimes, I’d get my answer. Usually, I would not. Were my questions occasionally blatant traps that offered no good solutions? I don’t know, maybe. Do the American people deserve The Truth regardless? Undoubtedly yes. In the spirit of transparency and justice, here are all the questions the 2016 campaigns were too afraid to answer. There’s still time to right these wrongs, press secretaries and Jeb. You know where to find me. Though this will all be over soon, the questions remain. Spokespeople—we’re waiting.